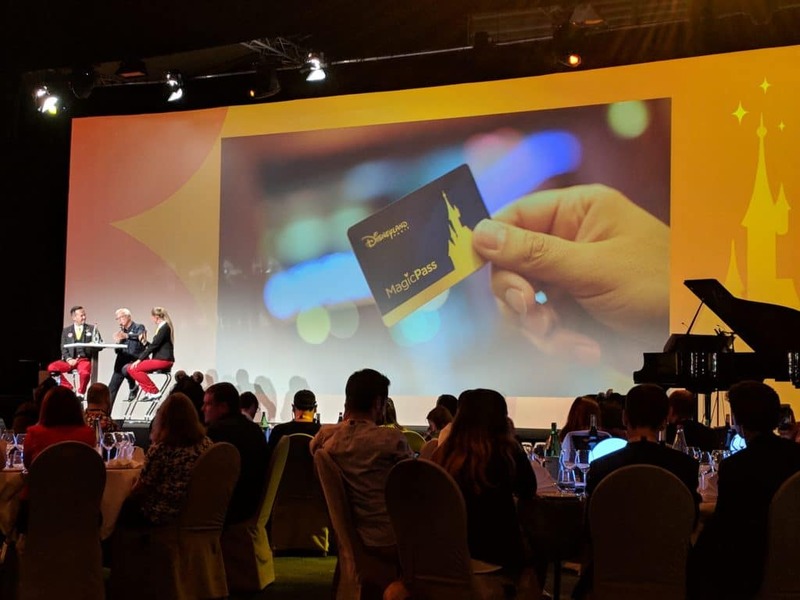 On May 18, Disneyland Paris invited about 150 fan media to Disney’s Hotel New York to attend the kick-off a new fan program; InsidEars. And when you have that much fan media present, you have to make some announcements. Besides food, entertainment, drinks, and goodies, we were also treated to 3 hrs worth of announcements. Let’s try to sum them all up. A big portion of Disneyland Paris consists of rides and shows. 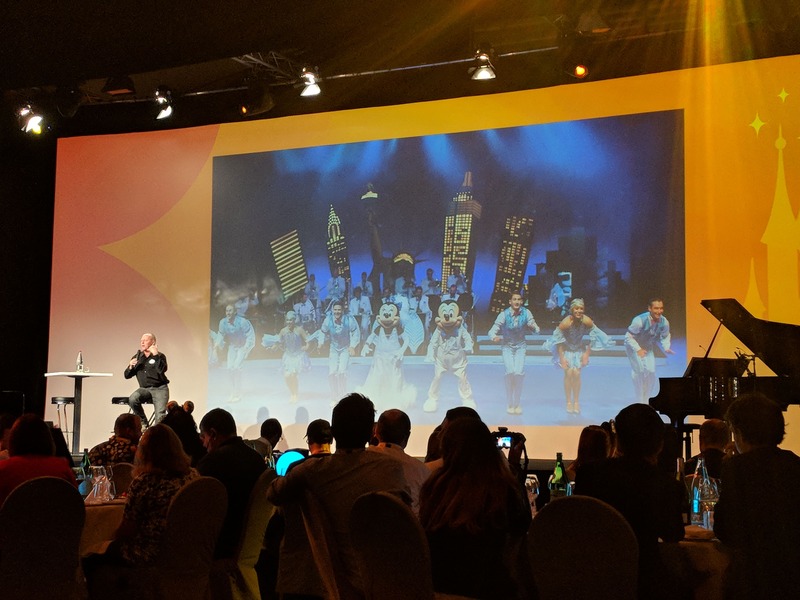 Daniel Delcourt, Disneyland Paris’ COO came on stage and answered 30 questions (out of a 500) that we submitted. 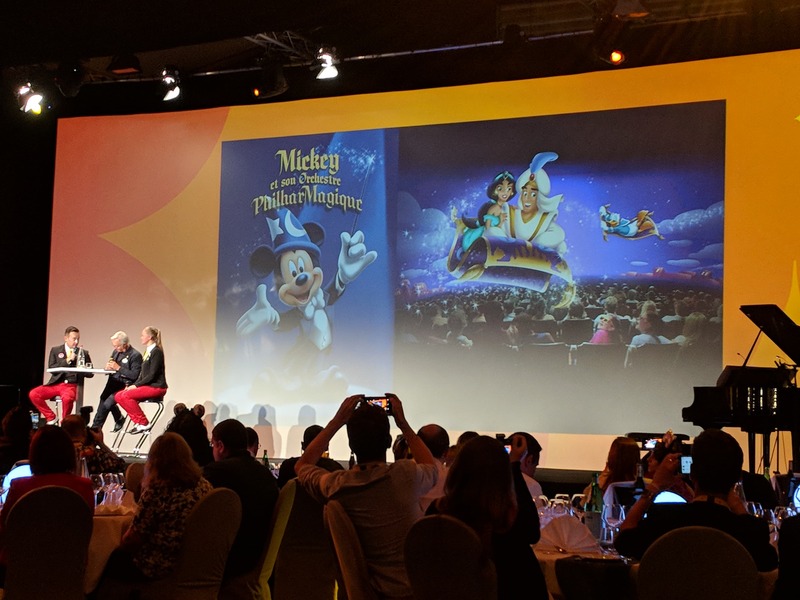 Out of the blue Delcourt shared that Mickey and the PhilharMagique will be coming to Disneyland Paris in October 2018. The venue for this 4D adventure in music and movement through Disney classics will be the Discoveryland theater. Even thought his ride has been open for less than 5 years, extensive works need to be done. There are issues with the flooring (floors are sinking) and wireless signals are causing issues with the trackless ride vehicles. The ride will be closed from August until December. While it is not clear what will happen with the restaurant, it almost seems obvious that it will be closed for most of the works as well. A new photo location will be opened near Phantom Manor. This will give guests the opportunity to take a photo with the spirits from the Manor. This was already announced a few days ago, but we now have seen an artist rendering. Imagineers and CMs are working hard on the refurbishment of Phantom Manor. 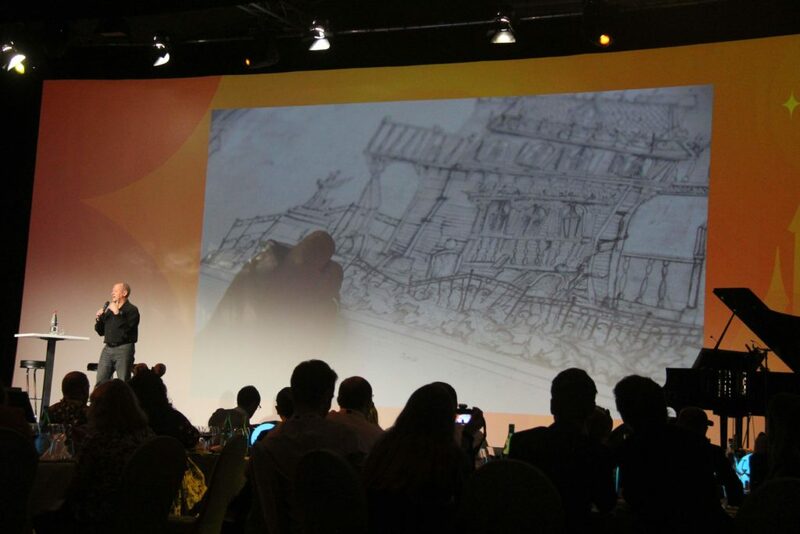 Imagineer Tom Fitzgerald had a video message explaining some of the works being undertaken. The works consist of renovated scenes (new lights and paint), refurbished animatronics and new effects. Fitzgerald also hinted that while they were working on Phantom Manor they found some new clues to the original story. This might mean that the storyline might be reworked a bit. Phantom Manor is scheduled to be reopened again in the fall of 2018. For now the Molly Brown is sailing the Rivers of the Far West. But good news, in 2020 the Mark Twain will be returning. After a long and extensive refurbishment we will finally see both riverboats transporting guests around the Far West. Big Thunder Mountain just had a big renovation and no worries, nothing major will happen. But unfortunately the smoke effect hasn’t been working due to a leak. The technical CMs are trying to find the leak. The team wants to complete this work without having to drain the Rivers of the Far West again. But there is good hope that it will be resolved in the near future. After years of seeing the building go bad, works are finally starting on Tower of Terror. In May, scaffolding, green fences and white tarp will be installed. The white tarp is just temporary as they want to get the measures right and themed the tarp just like they did for Phantom Manor and Casey’s Corner. For the new Marvel stunt show, Cinemagique has been completely gutted. 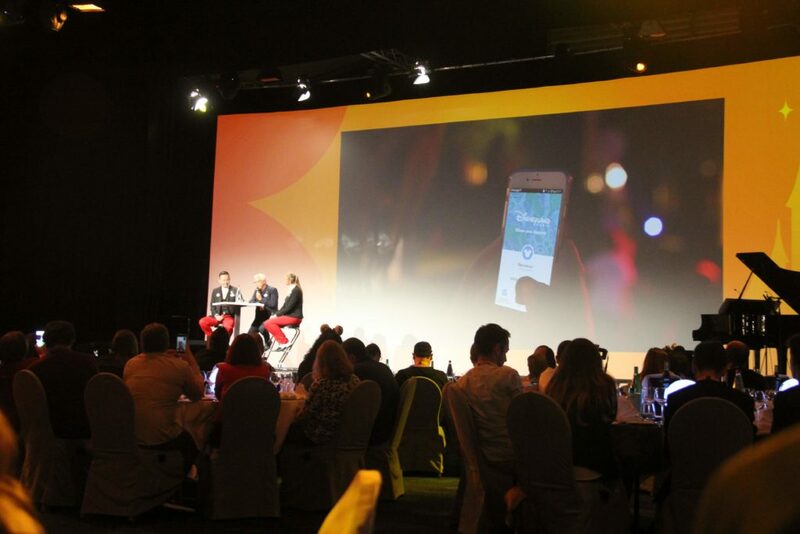 The team has installed a new stage and new technology. This show is going to the latest in stage technology and will transport guests into the world of Marvel. 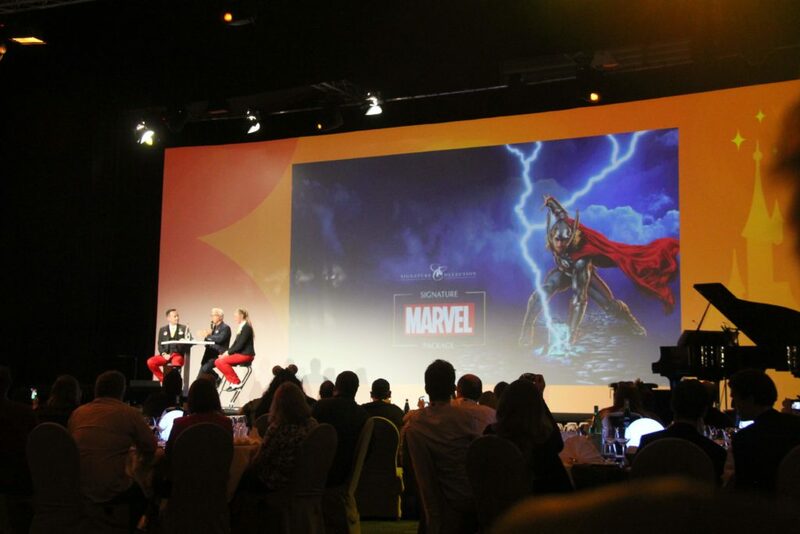 For the Marvel Summer of Super Heroes, a new stage will be build with LED. This will make sure the dance-off will amaze guests. Also outside of the parks things will change. Plans to renovate Disney Village are for 90% complete. Delcourt promised us that the remaining 10% will be completed as soon as possible so that the downtown area can also get some TLC in the near future. Photopass Day is returning in 2018. This year it will take place on Sunday August 19. Pizza Planet is not coming back. It has had its run, and now it will make place for a temporary convention/entertainment hall during the renovation of Disney’s Hotel New York. 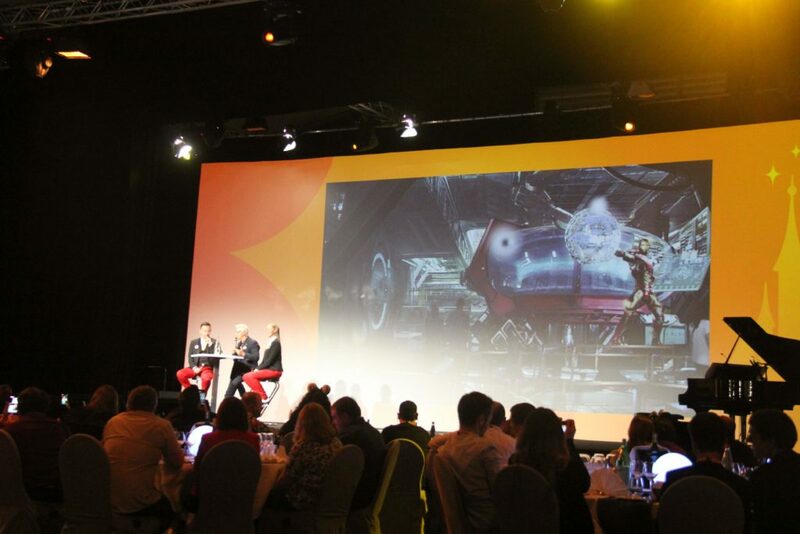 The icon of Disneyland Paris will also undergo major works in the years to come. Current CEO Catherine Powell has seen the latest designs and is thrilled about what is to come. It is said that; It will be immersive in a still secret “universe”. What this means at the moment, we have no idea. But we sure how it won’t receive an IP overlay of some sort. 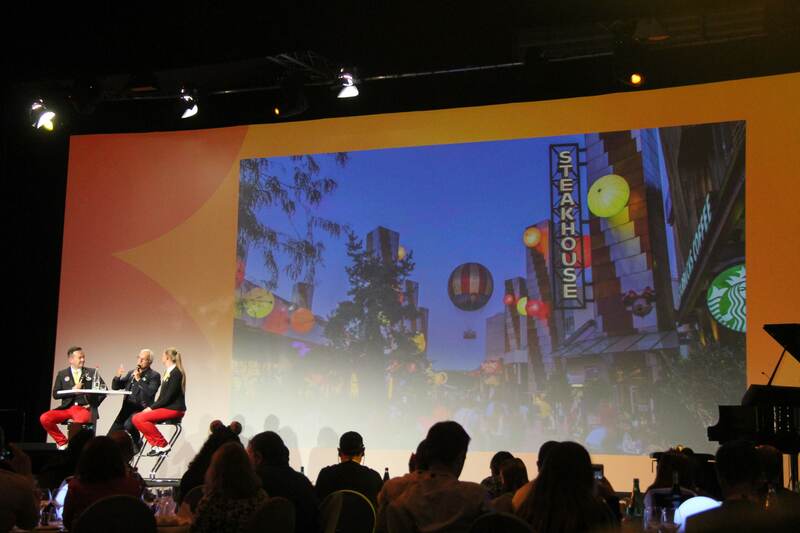 While there are always rumors, COO Delcourt told us in clear words; Starbucks is NOT coming to Main Street USA. Colonel Hathi’s Pizza Outpost will be completely transformed. What that means, Delcourt couldn’t disclose yet. But with the recent rumors of a new Indiana Jones ride coming to Disneyland Paris Park, who knows. On our recent visit to Walt Disney World resort, we tried mobile order at some of the restaurants and it was amazing. New tests will be started at Walt Disney Studios park to see how Mobile Order would work in Paris. Meal Vouchers and Coupons make for a lot of paper and administration. Soon these food options will move to MagicPass allowing guests to pay for their meals using this card. The Rendez vous Gourmand food festival is returning on 2018 with 6 additional chalets. This time the festival is also going internationally with chalets from Italy and Belgium. The festival begins end of July and runs until end of September. 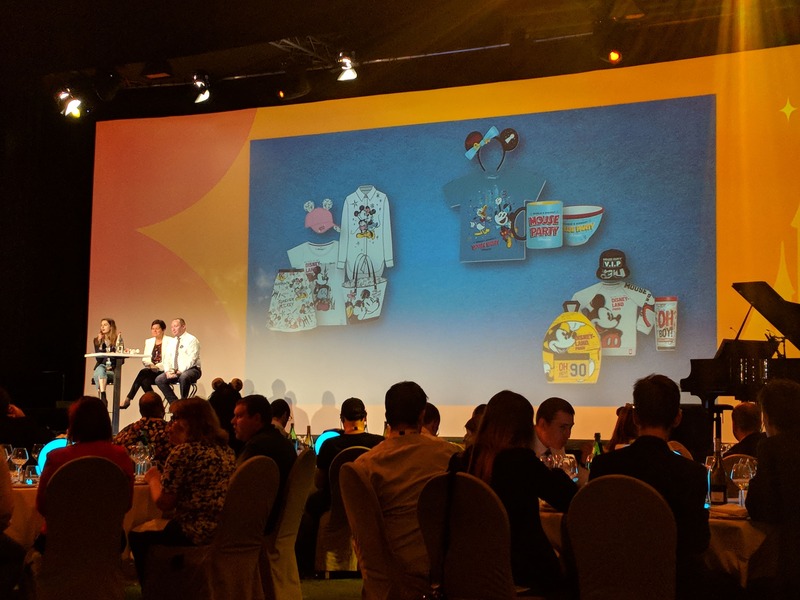 For events to come to the resort in the near future, the team has been working hard on new food items, and selecting new merchandise that was developed in the US. With the Marvel Summer of Super Heroes around the corner, new Marvel merchandise will make its way to the resort. And of course food items also have to join the party. We already had the opportunity to try some of them out. For guests who want to celebrate something special, Disneyland Paris will offer the Marvel Signature Package that features Meet ‘n Greets, dinners and unique experiences. Exclusive merchandise is making its way to Disneyland Paris. Several artists will make items unique to Paris. Also the book that was made for the refurbishment of Pirates of the Caribbean will be up for sale later this year. A similar book will be made available for Phantom Manor. This year Mickey will celebrate his 90th birthday. Disneyland Paris will join the celebrations from October 1st all the way until January 6. It will for sure be a Mouse Party! To celebrate Mickey’s Birthday Disneyland Paris will have 5 birthday cakes in the shape of a cupcake, one for each land to give guest the opportunity the join in the celebrations. Cupcake girls will welcome guests. 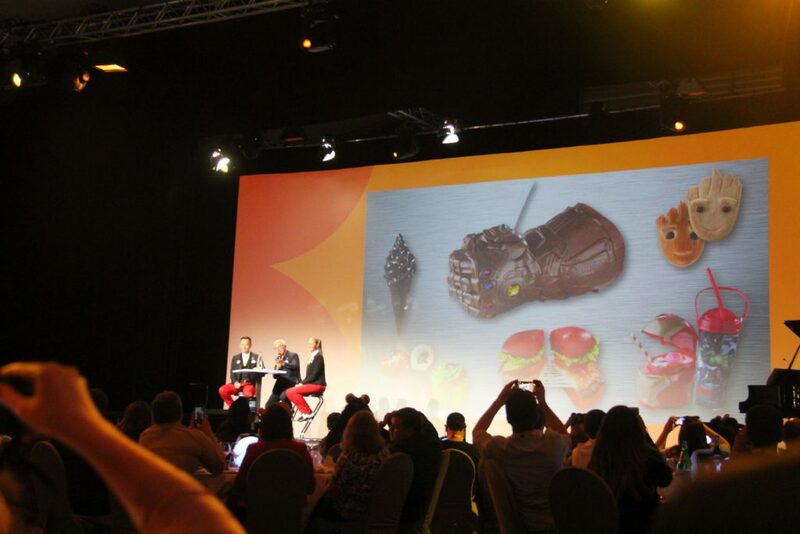 Each land will also have themed food items. Also during Halloween, Disneyland Paris will celebrate Mickey’s birthday. A special float will be introduced to the Halloween Cavalcade which will return. The float is called; Mickey’s Illusion Manor and will fit perfectly in the Halloween theme of the season but will also pay homage to the mouse who started it all. Also during Christmas Disneyland Paris will celebrate Mickey’s Birthday. Mickey’s Christmas Big Band will return this year and at the end of the show Minnie will take center stage and offer Mickey a unique surprise. The area in front of the Hyperion Theater will also be included using camera’s and CMs. For Mickey’s Birthday there will be loads of merchandise at the parks. 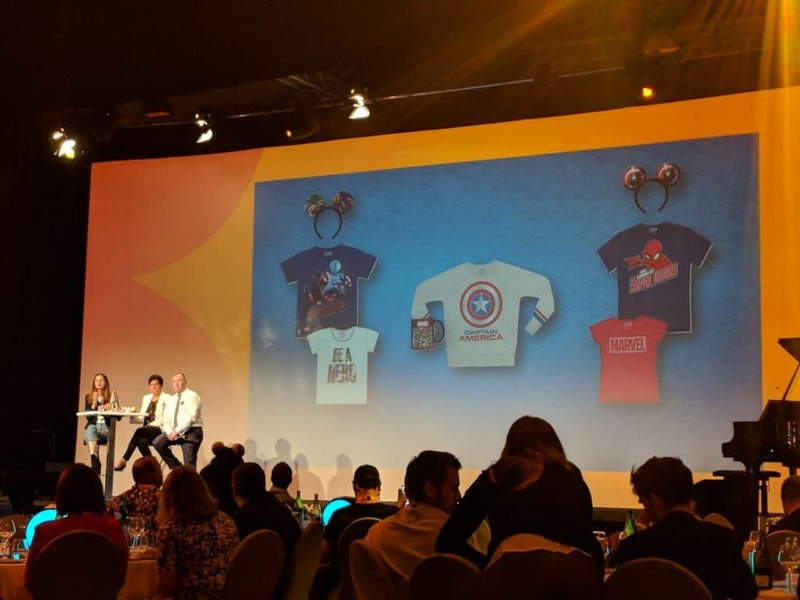 While some of this merchandise can be bought at the other parks around the world, there will also be exclusive merchandise that can only be found at Disneyland Paris. 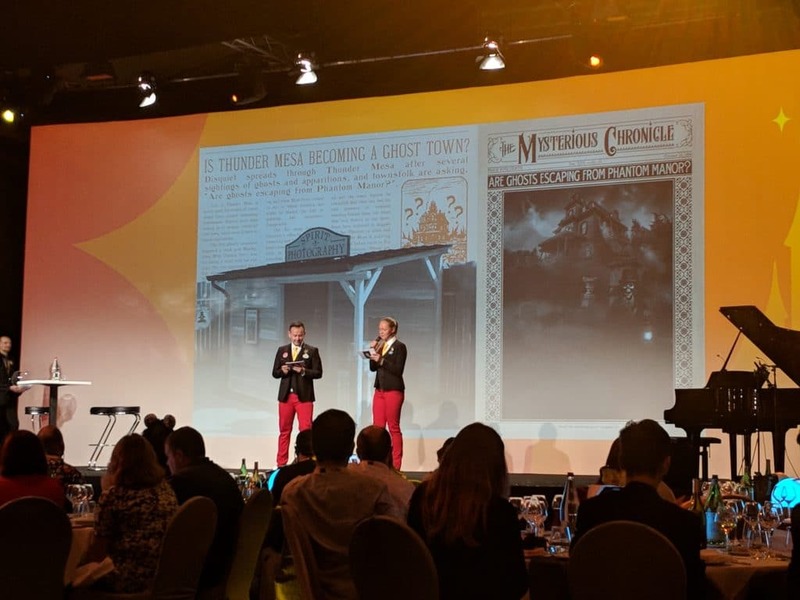 Major Changes coming to Halloween Time at Disneyland Paris?